The British take their tea very seriously. Yet anyone who has switched to decaf or dairy free has had to accept weak, watery and wishy-washy alternatives. So how could PG Tips convince the public they’d finally cracked the taste issue – a ‘Eureka!’ moment – with two new special blends ‘Tasty Decaf’ and ‘Perfect with Dairy Free’? Enter a man who never compromises on taste: tea connoisseur and the nation’s harshest critic, Strictly judge, Craig Revel Horwood. PG Tips this week launched a new digital and earned media campaign where it revealed that CRH had been appointed its ‘Head of Taste’. Taking time out from his regular role, its Craig as we know him, but swapping tango for tea. A video takes us into an an immersive world of the PG Tips R&D department showing the disgust, rejection and acid-tongued put-downs the researchers had to endure before, out of the blue, Craig tastes a decaf brew that meets his exacting standards that he would approve for release. 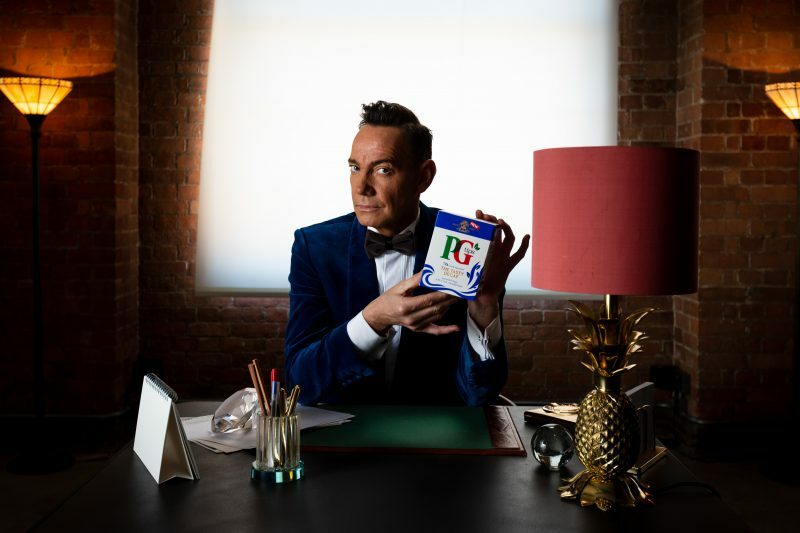 As part of the integrated launch Craig has been doing a series of national and lifestyle media interviews to talk about his his Head of taste role, his love of PG Tips and, of course, Strictly. The campaign was created and produced in-house by W (where I work).